Sometimes, for any number of reasons you may have an over-abundance of cultured kefir milk. Right now I have 2 liters of it accumulated even though I use it in smoothies every day. So I am constantly on the look out for different ways to use up kefir milk in different ways. Milk kefir in baking is a really great ingredient. Since it has probiotic yeast in it, it gives a light fluffy lift to cakes and muffins, pancakes and many other dishes. When you cook kefir, you will lose some of the probiotic benefits but it will still help predigest grains, add vitamins and minerals, not to mention a delicious taste! Here are some ways you can use your kefir. Baking- First you can pre-digest flours, oatmeal, and other grains by soaking. An hour or 2 before you are going to bake, mix the recipes flour with kefir. Substitute some or all of the liquid portion of your recipe with your cultured kefir milk. If you do not plan ahead to pre-soak your flours, you can still sub kefir for the liquids in a recipe. It is especially good in cakes and muffins, biscuits (instead of milk or buttermilk), bread, rolls, pizza dough.. the list goes on! You could start with this delicious banana kefir cake! Breakfast– The night before, mix 1/4 cup of rolled oats with 1/2 cup kefir (for one serving). Let it sit covered on the counter over night. The next morning, cooking time is reduced and you have a delicious hearty and healthy breakfast! Just add fruit and a bit of maple syrup, or your own favorite toppings. 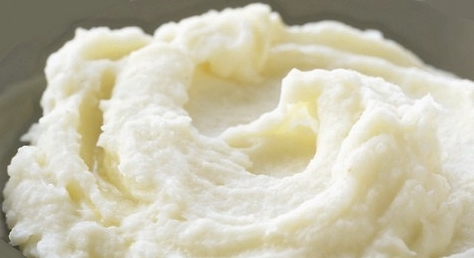 Garlic Mashed Potatoes- After your potatoes are cooked, mash them in a bowl with some garlic and kefir, and then whip them with the beaters to have a light fluffy delicious potato dish. 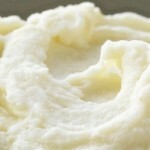 Soups and Sauces– Sub out some or all of the liquid for kefir. Dessert- Put some kefir milk in a blender with frozen blueberries and some sweetener of choice for a delicious frozen yogurt dessert. Cream Cheese- Strain off the whey in cheesecloth over night. Mix cheese with salt to taste and spread on crackers or use as a veggie dip ingredient. Buttermilk substitute- Use kefir in place of buttermilk, sour cream or yogurt in any recipe. As a starter for cultured vegetables– There are lots of recipes on the internet for using kefir whey (or water kefir grains) as a culture starter for cultured veggies like sauerkraut. Skin care– Add to the bath water for soft conditioned skin. My sister uses whey as a face wash and swears it clears up her face whenever she is getting a pimple outbreak. There… that should get you started on using up that left over kefir milk! I want to buy milk kefir grains please. How do I switch milk Kiefer to using water? Hello Butterfly: You need to have water kefir grains to make water kefir and milk kefir grains to make milk kefir. So you just need to buy the proper culture and you are good to go!